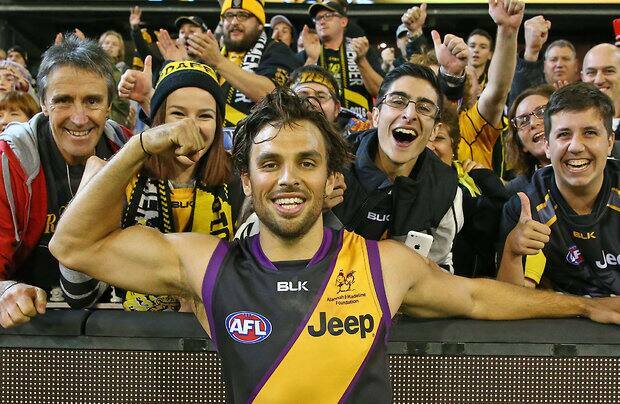 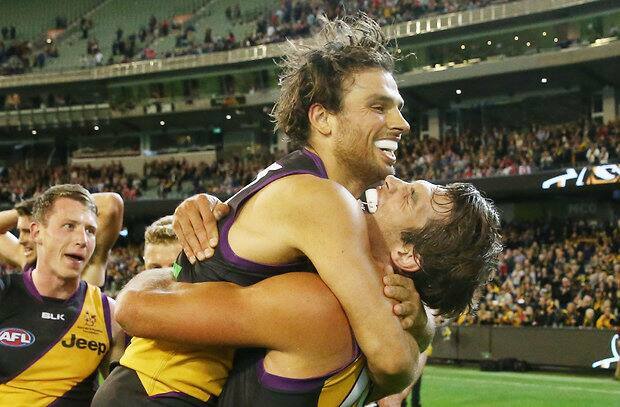 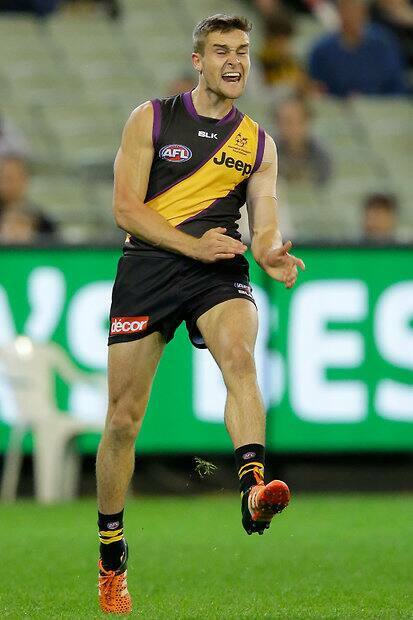 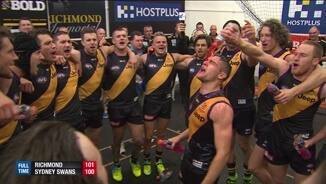 RICHMOND has secured the win it needed in extraordinary circumstances, with Sam Lloyd kicking the match-winning goal from 50m to pinch a remarkable one-point win. 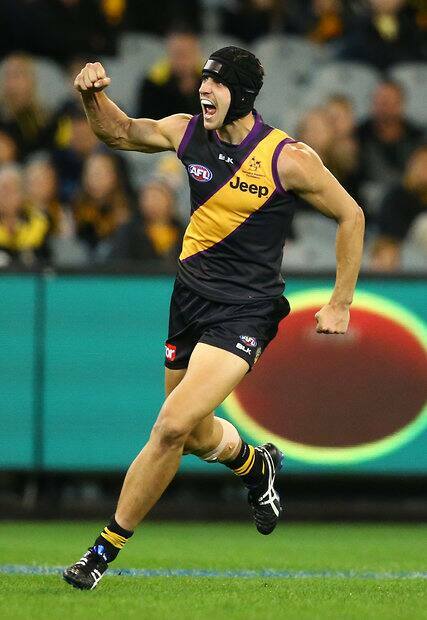 Lloyd marked just inside 50 with seconds remaining and kicked after the siren, falling to his knees as the ball sailed through to seal the 14.17 (101) to 15.19 (100) win at the MCG on Saturday night. 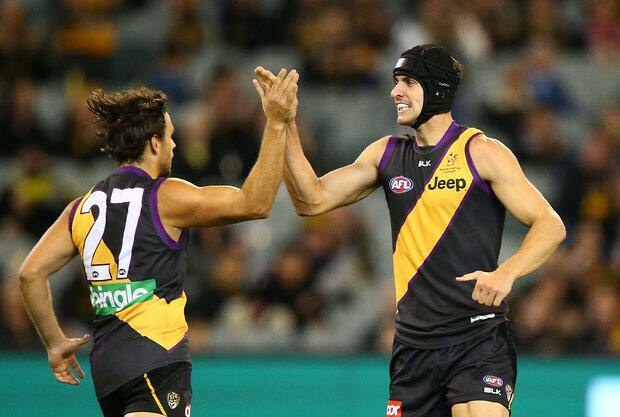 The final quarter produced some of the most thrilling football of the season as the Tigers threw out the conservative style they'd played for three quarters and put their foot to the floor. 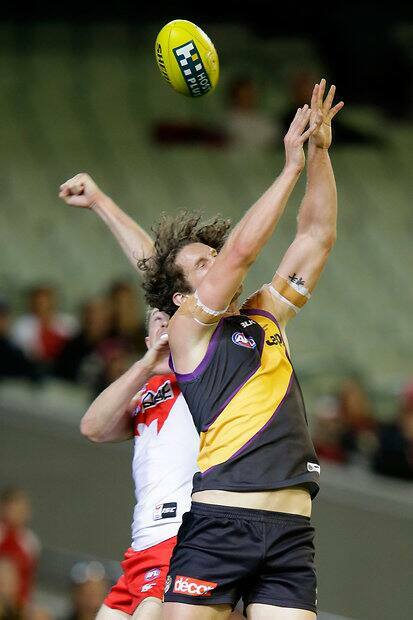 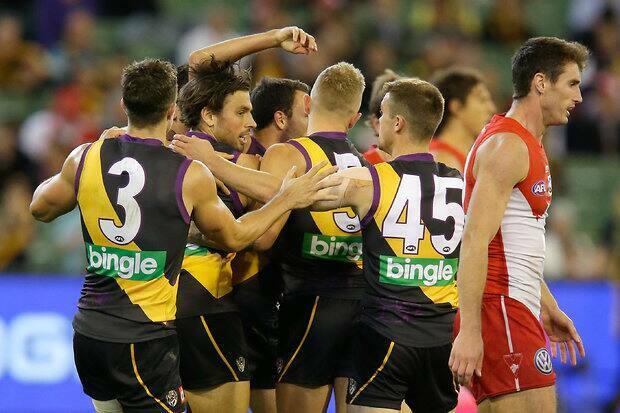 The Swans had appeared destined for their seventh win of the year as they trapped the ball deep in their forward line with less than a minute to play, but the Tigers launched one final challenge and were rewarded. 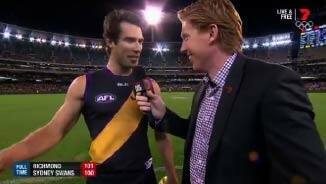 One of the club's best wins for years, it was a coming-of-age match for tall forward Ben Griffiths, who kicked five goals, including a crucial dribble goal with five minutes left to make the win possible. 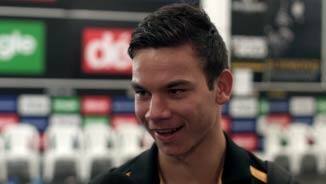 First-year Tiger Daniel Rioli also stamped himself, with two final quarter goals including a brilliant running goal after taking three bounces down the MCG wing. 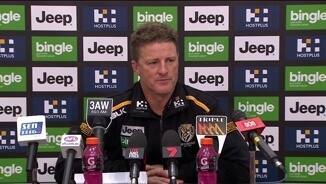 It was a win that will release pressure after six straight losses, with Richmond's players rewarding coach Damien Hardwick's unwavering faith in difficult circumstances this season. 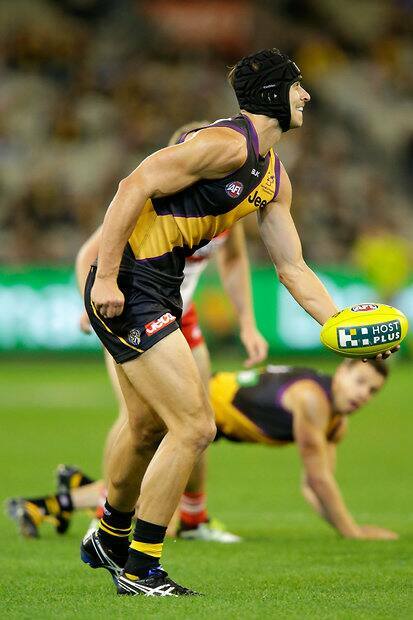 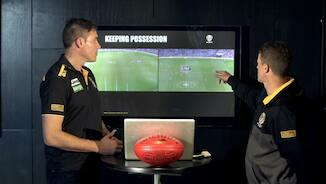 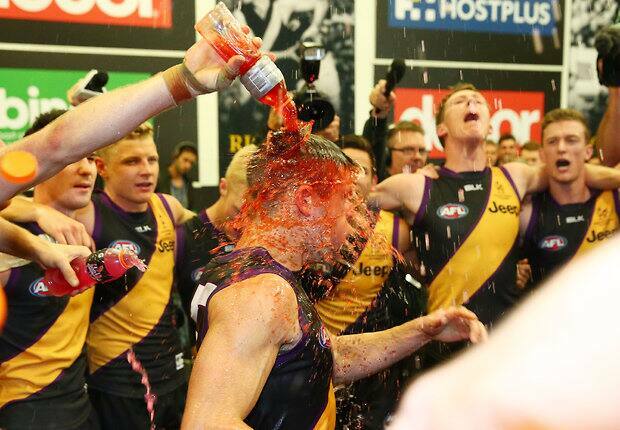 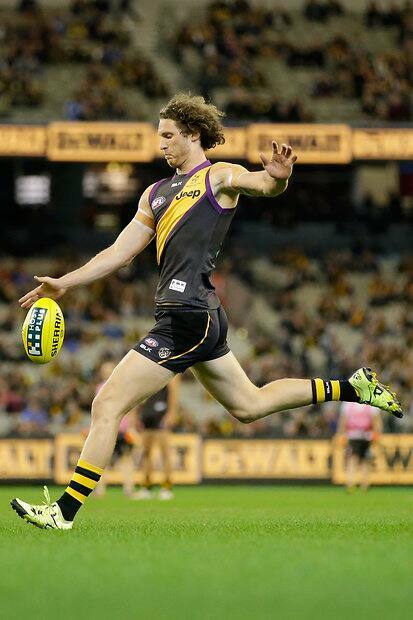 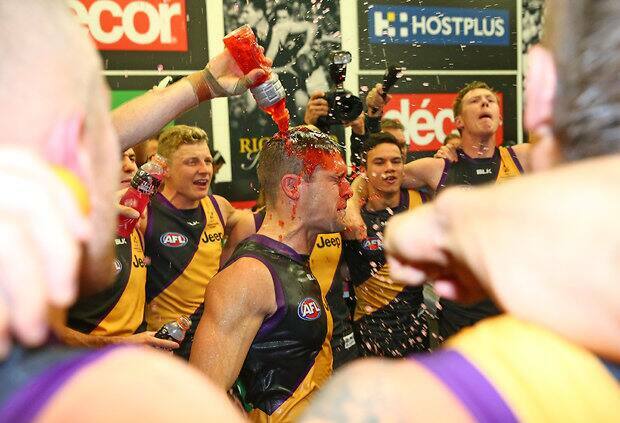 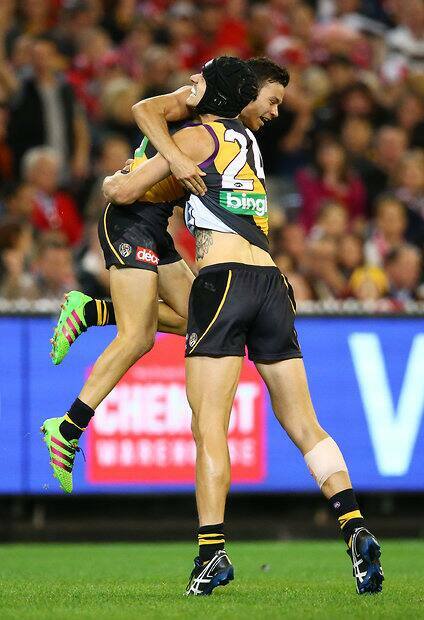 And it was achieved without injured skipper Trent Cotchin and important half-back Bachar Houli. 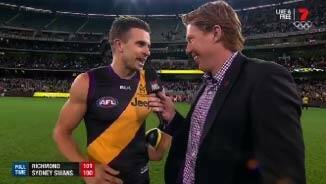 Brett Deledio was outstanding in his third game for the season, racking up 34 possessions, while Dustin Martin (31 and five inside 50s) and Anthony Miles (31 and nine clearances) stood up in the midfield. 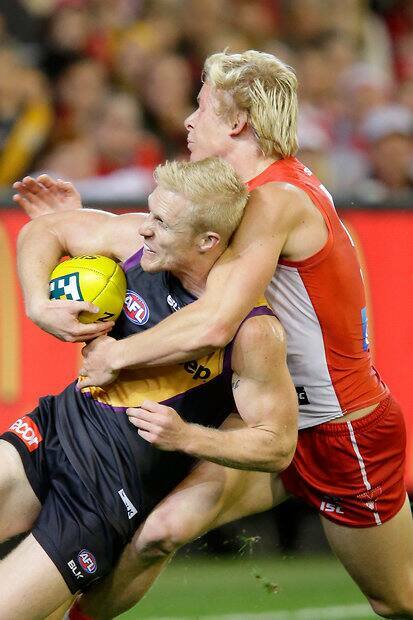 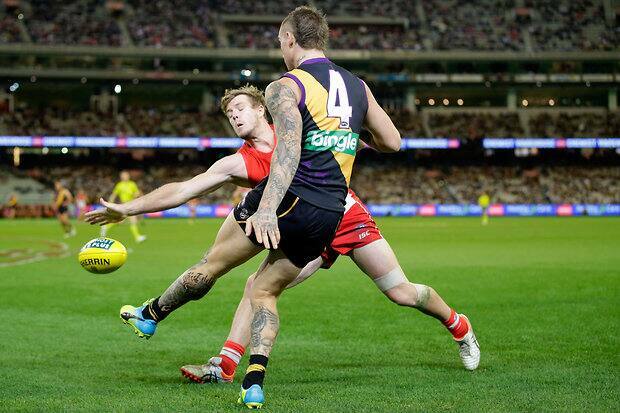 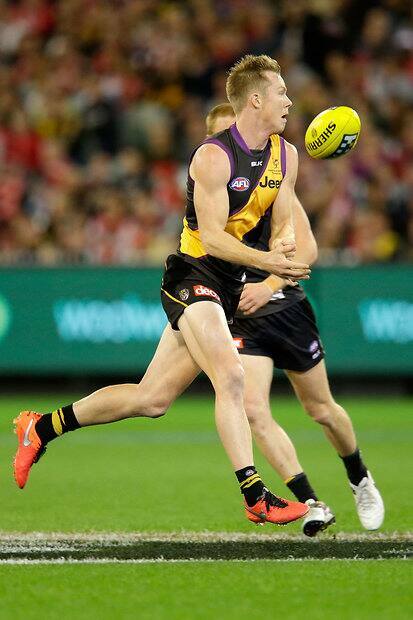 Key forward Jack Riewoldt was a steadying influence all night, finishing with nine marks and six inside 50s. 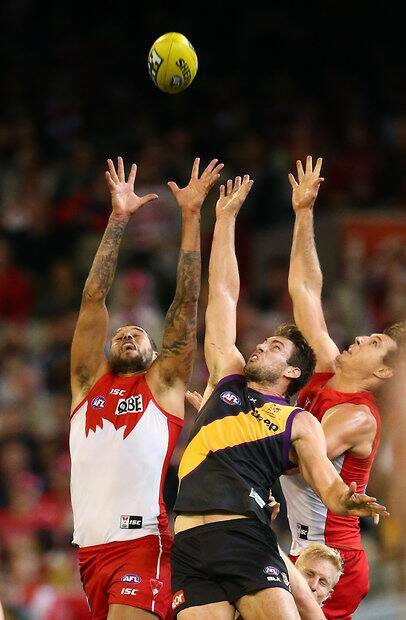 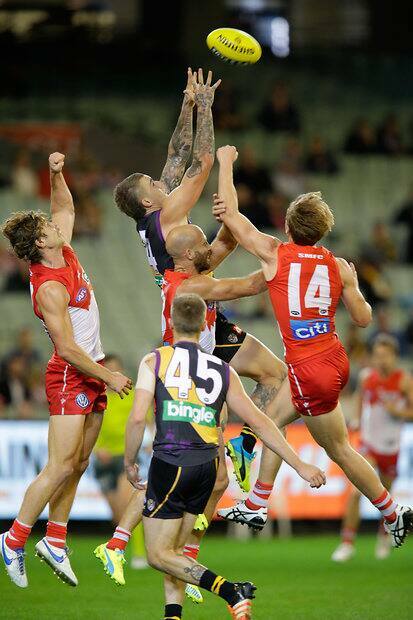 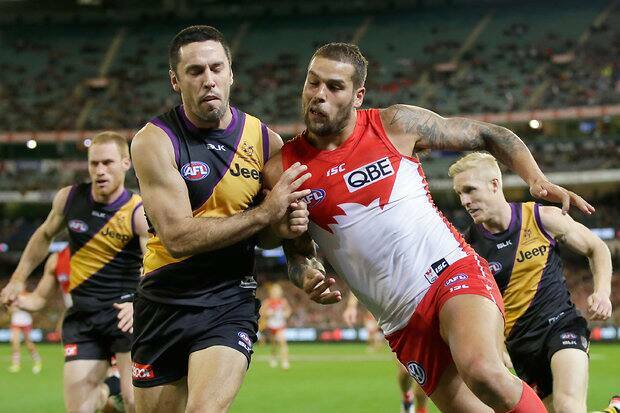 Swans superstar Lance Franklin kicked five goals to move to the top of the Coleman Medal race. 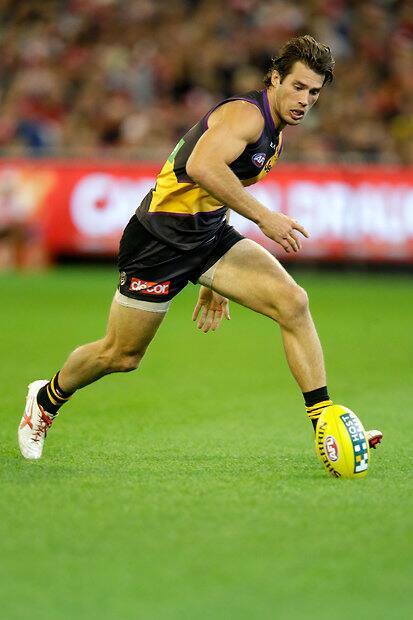 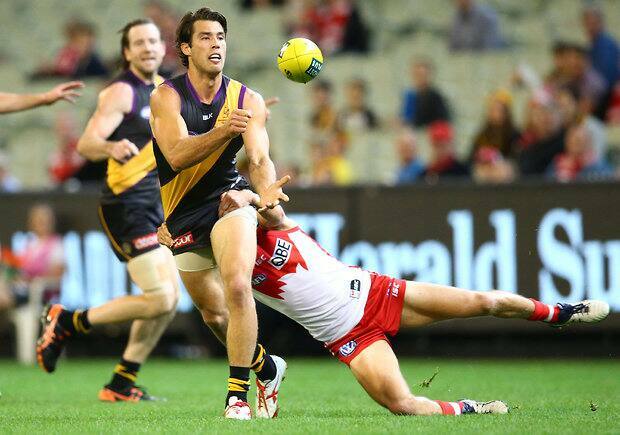 In an enthralling duel, Richmond full-back Alex Rance could lay claim to at least finishing even with Franklin after putting in a stellar effort in the last quarter. 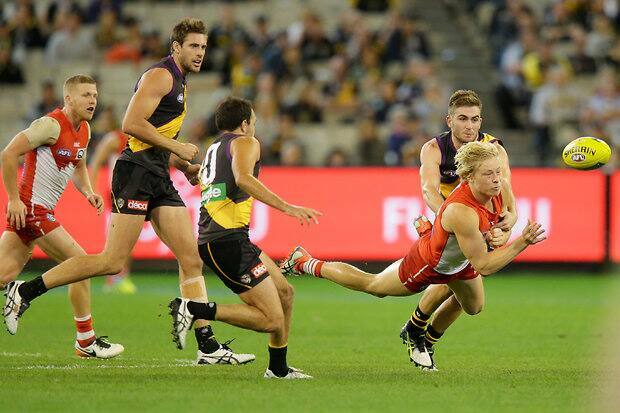 Midfielder Dan Hannebery, who gave the Swans the lead halfway through the final quarter with an important goal, finished with 33 possessions and two goals in a superb game. 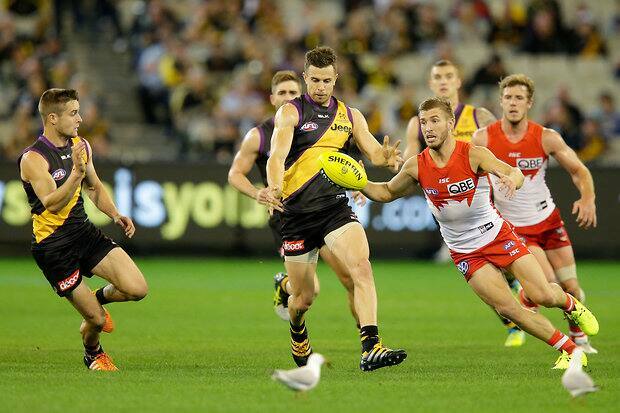 The Tigers could have set up their win in the third quarter, but made things difficult for themselves with poor kicking in front of goal. 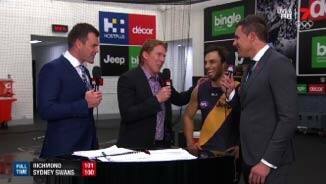 Hardwick's men went inside 50 seven straight times early in the term, but walked away with just 1.5, with Lloyd, Deledio, Martin and Ty Vickery all missing gettable set shots. 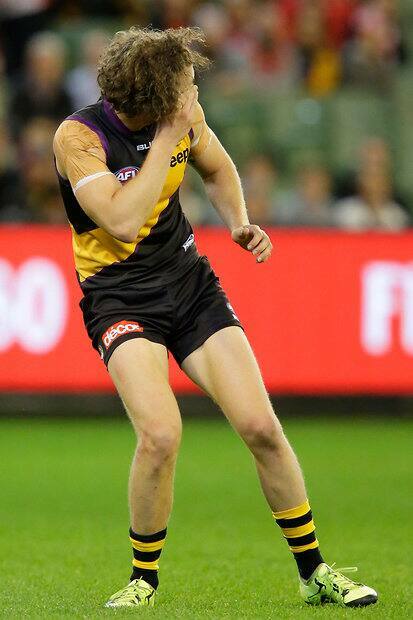 It would have made a loss impossible to stomach. 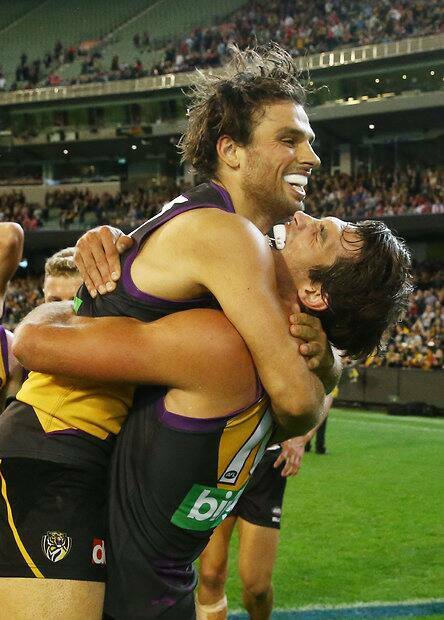 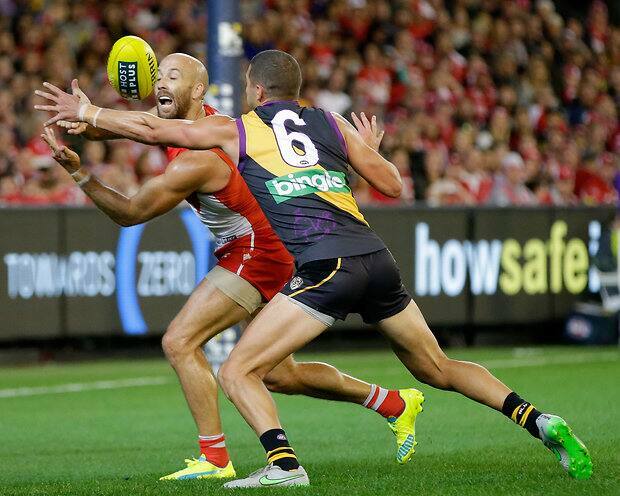 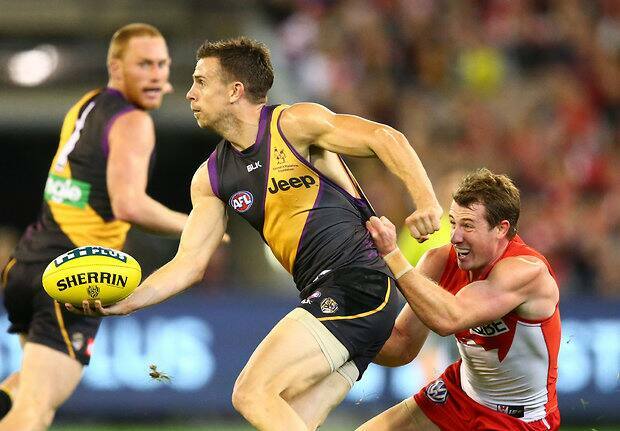 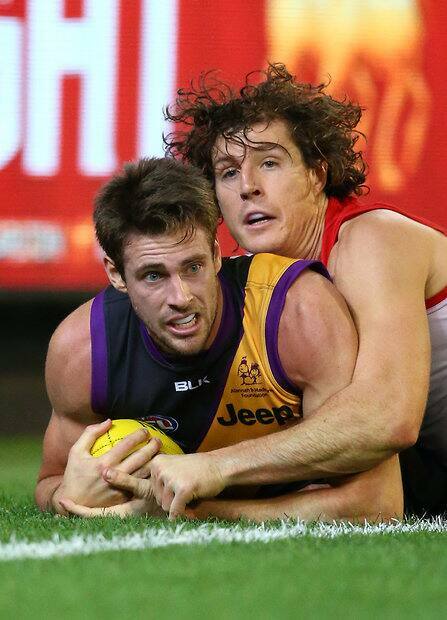 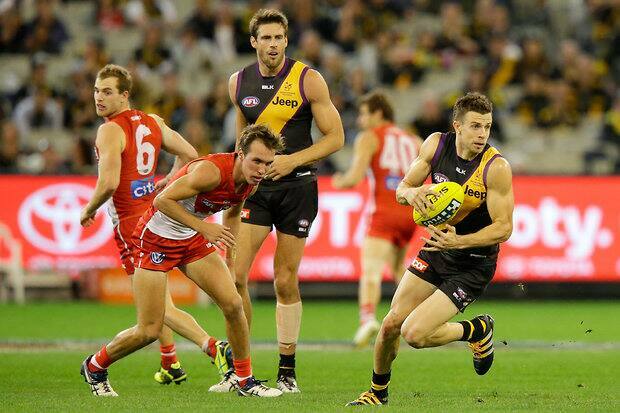 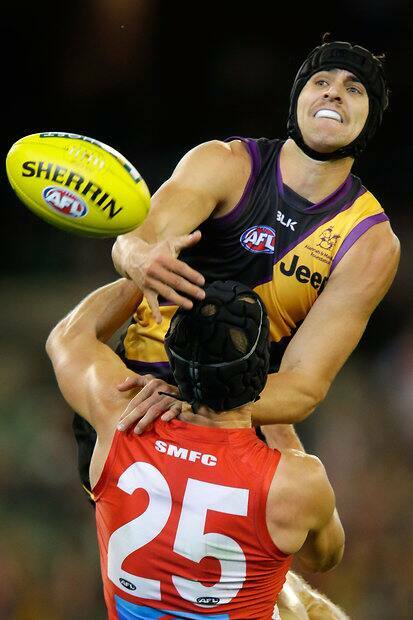 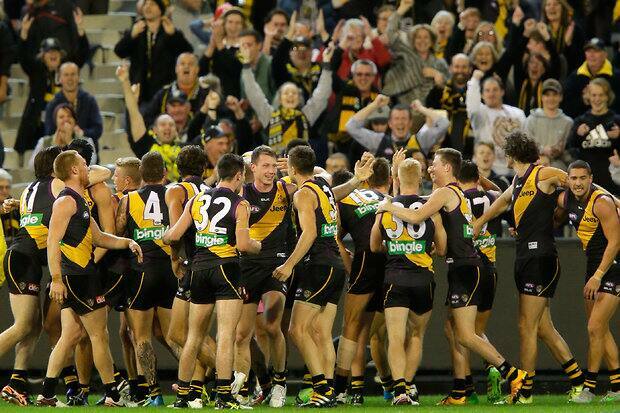 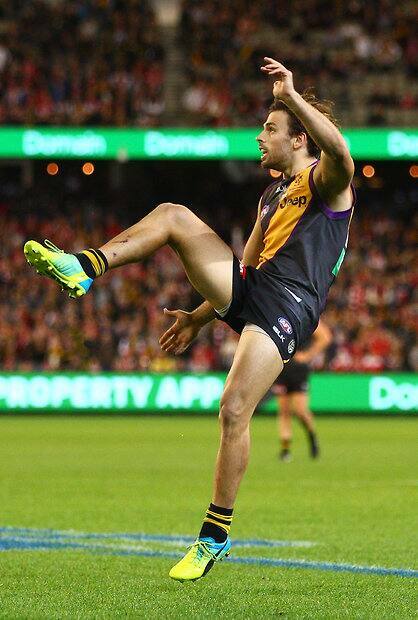 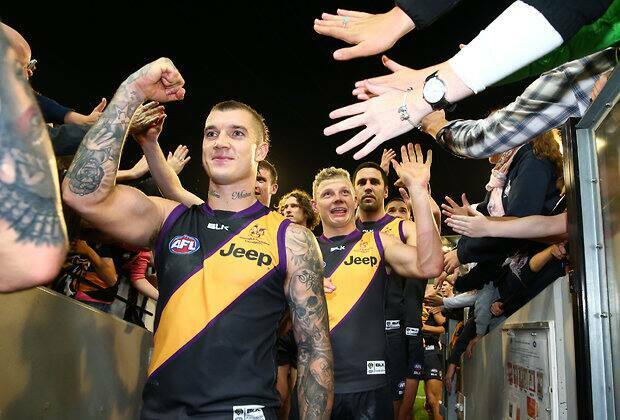 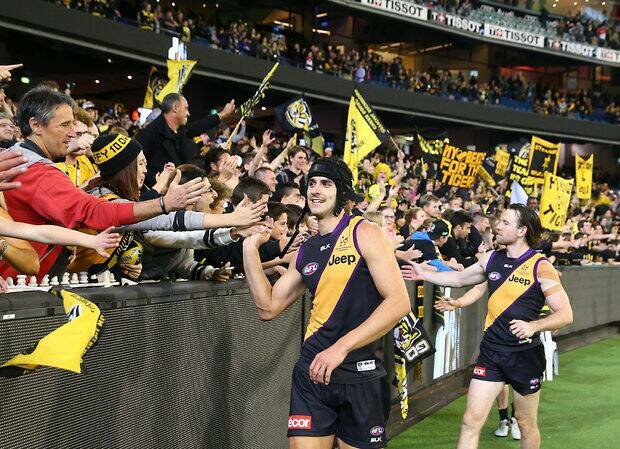 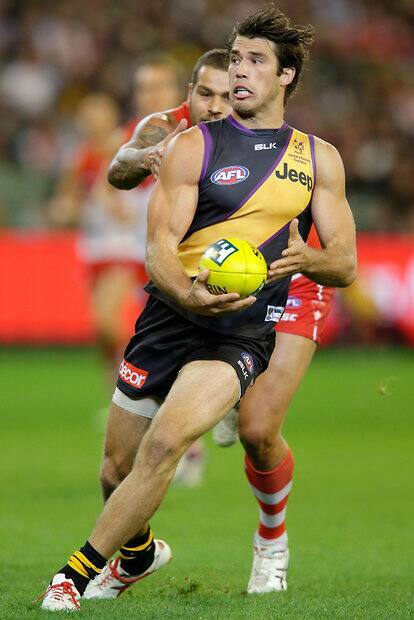 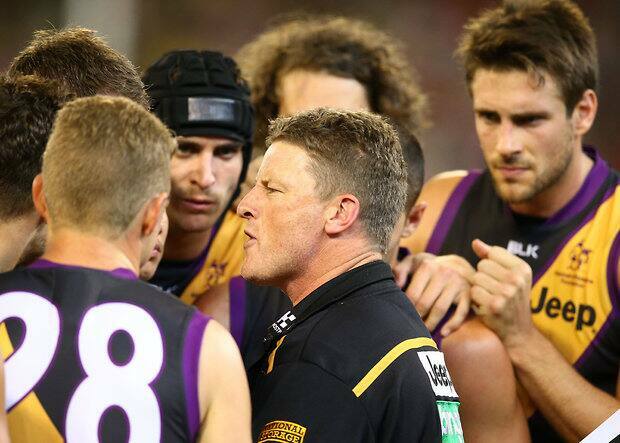 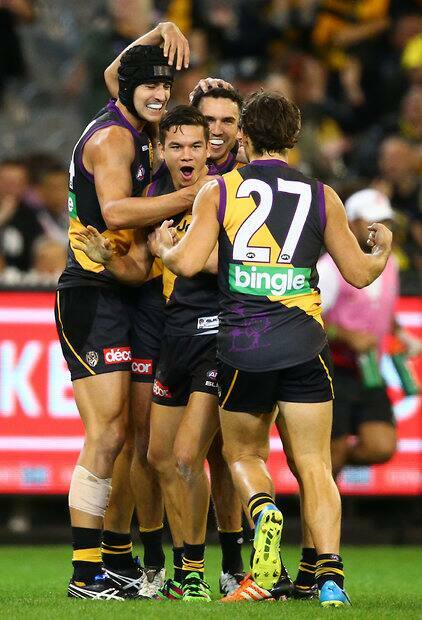 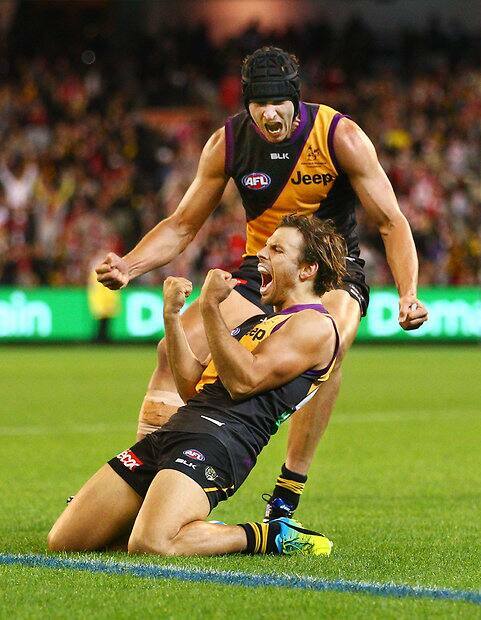 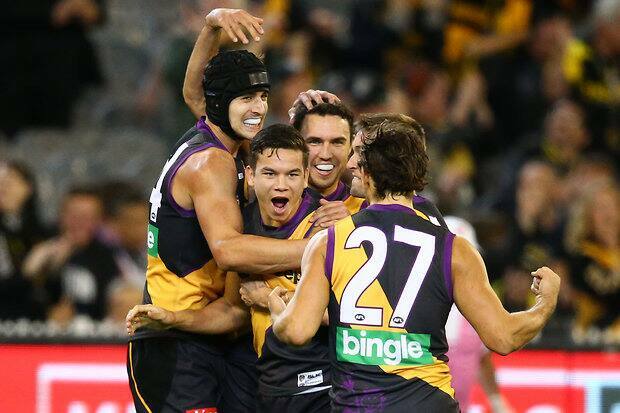 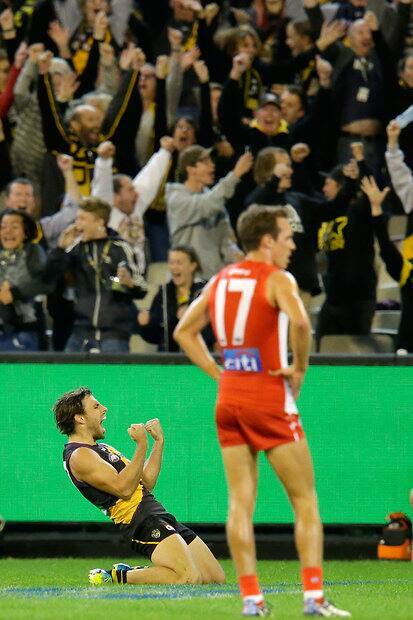 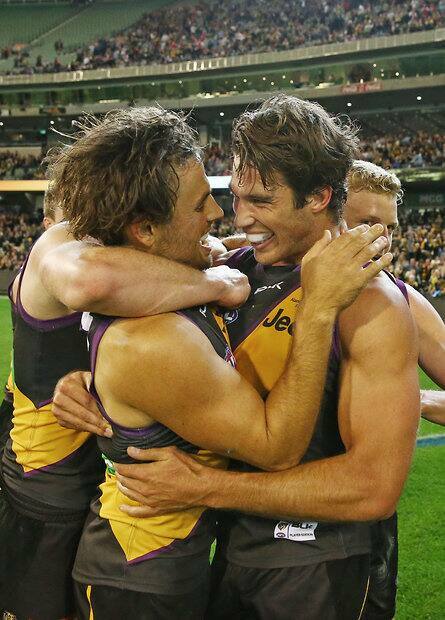 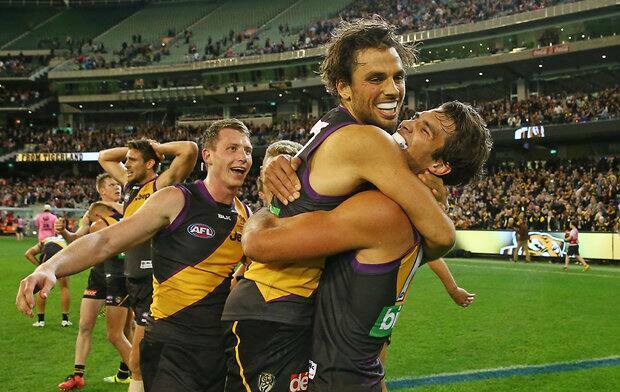 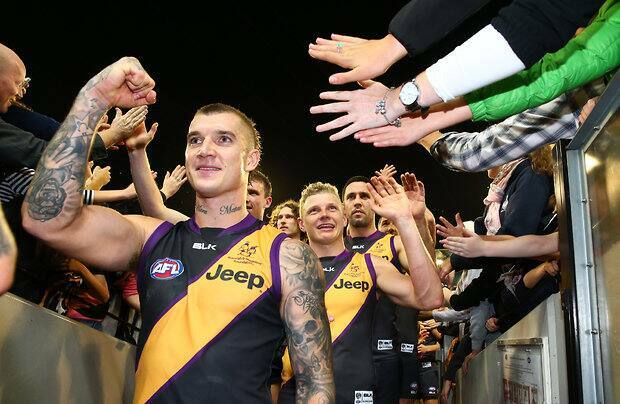 For the first time since round two, Richmond took a lead into half-time on Saturday night. 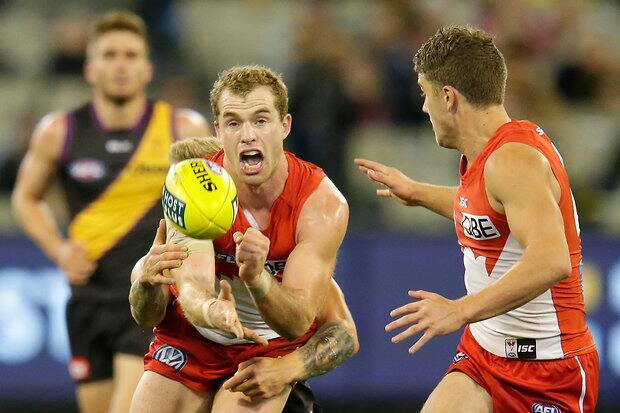 It was a hard-earned lead too, having started nervously and fallen 15 points down early in the second quarter, with the Swans appearing in cruise control. 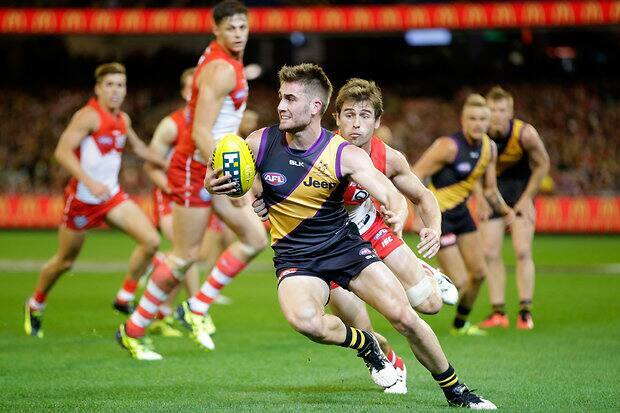 The Tigers got themselves back into the game in two ways – they started playing a careful, high-possession style, and they got on top in the contested areas. 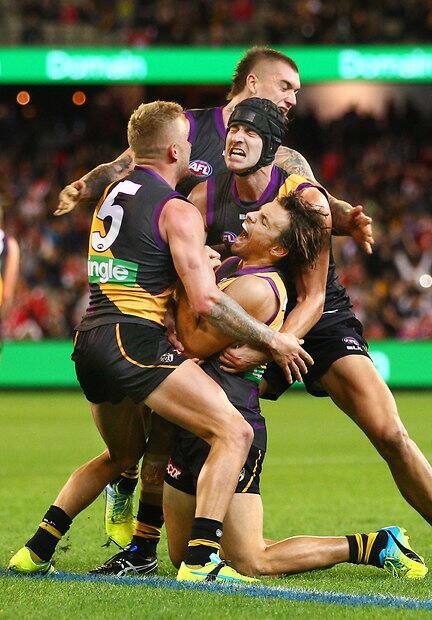 At the main break they had racked up 68 more possessions and 38 more uncontested marks, working hard for each other to make sure they held onto the footy. 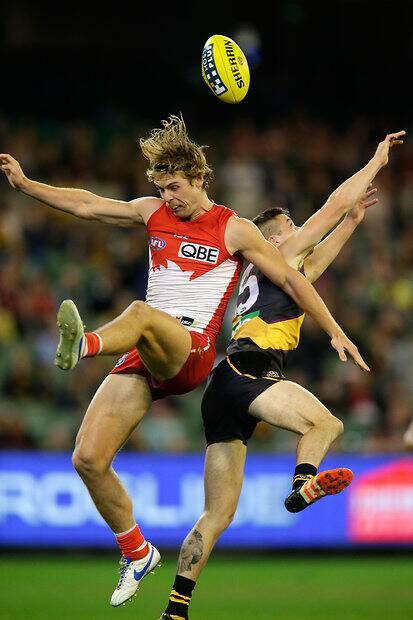 They also did the hard things, laying more tackles (25-16) and winning more clearances (17-9) to half-time, laying down the challenge for the Swans. 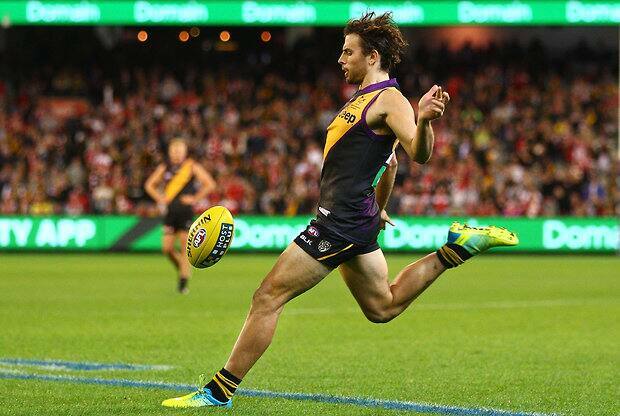 The Swans pounced when they had their chances, but so did Lloyd, erasing any Tiger wastefulness with one brilliant set shot. 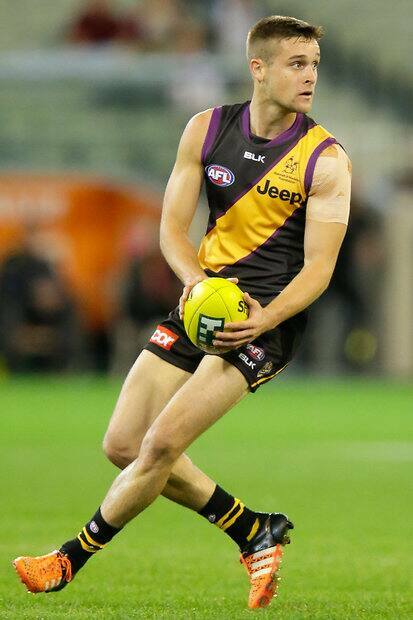 Tenacious Tiger midfielder Anthony Miles has spoken in glowing terms about Sam Lloyd’s overall 2016 output. 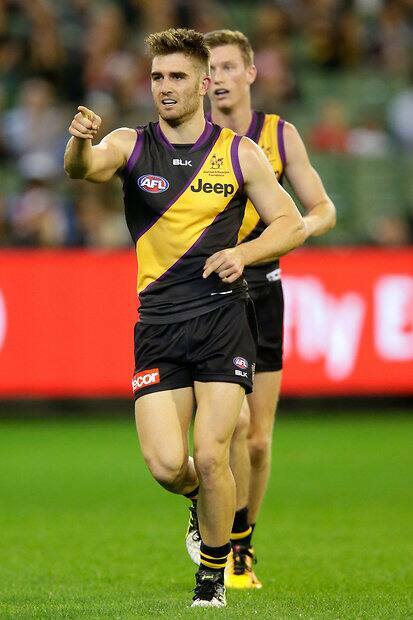 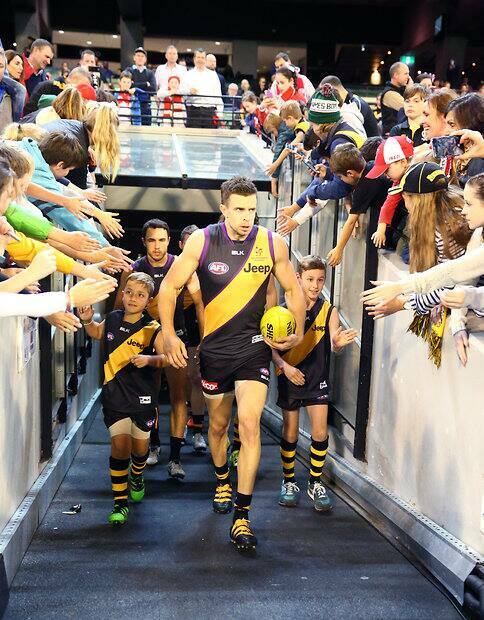 Ben Griffiths has revealed a return to football fundamentals was the catalyst for him producing the best performance of his seven-season AFL career with Richmond, against Sydney at the MCG last Saturday night.